The International Estonian Centre, opening 2021 in downtown Toronto, will be a dynamic hub showcasing our rich heritage and promoting Estonian innovation. 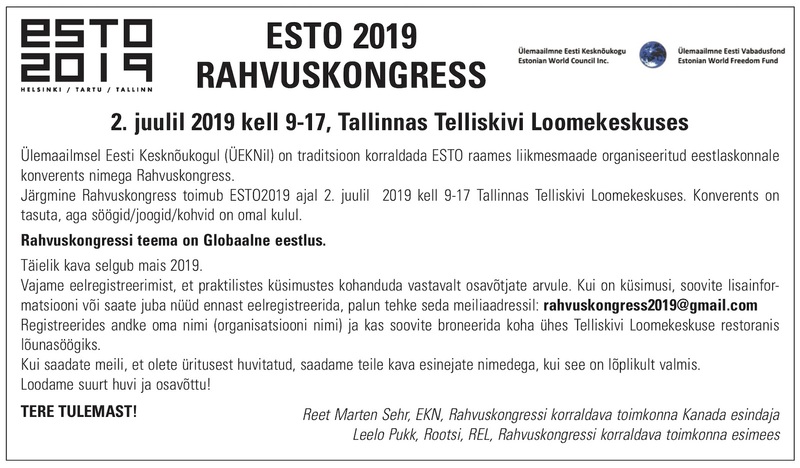 It will be a vibrant gathering place for Estonians of all generations and backgrounds to connect, celebrate, and share our culture and achievements with each other and the world. 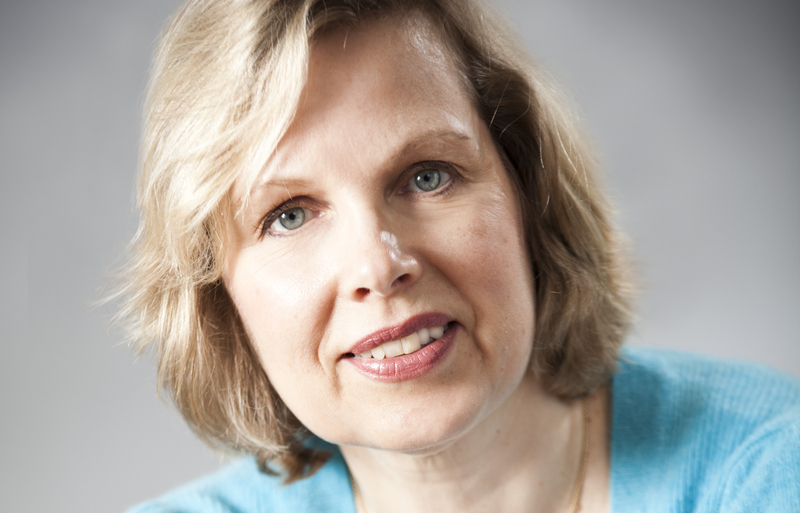 Urve Tamberg is Executive Manager of the Steering Committee, International Estonian Centre (IEC) Project. Urve, who holds a Masters of Business Administration from the Schulich School of Business, York University, comes to the project with a diverse business background in business management. This includes over 25 years of leadership and management experience in both the public and private sectors in strategic planning, business development, sales and marketing, and financial feasibility analysis. Organizations include Fortune 500 company, hospitals, and start-up companies. Urve is also a Director on the Board of the Estonian House, and that experience provides valuable perspective and continuity for the project. What does it mean to you to work on this project? I think I speak for all of us who work and volunteer on this project that it is a tremendous honour to be involved in this initiative. I am inspired by the vision of the new Estonian Centre. It represents a unique opportunity to revitalize our Estonian culture and community, and to expand our cultural footprint in Toronto and globally. To know that we are working toward a sustainable and dynamic future for the Estonian community is very rewarding. As an Estonian-Canadian born and raised in Toronto with parents who came here from Estonia, it is particularly meaningful for me to help carry on the legacy of the generation who worked so hard to build a future for our families in this country. But equally as important, it is an opportunity to ensure a vibrant Estonian community for my children, and generations to come. My children, Katrina, Sonja, and Kenni Dobson, grew up participating in numerous Estonian activities. Being involved in these activities added a unique dimension to their lives, and developed some great lifelong friendships. I hope that this new centre will entice Estonians of all generations to explore and appreciate their heritage, enhance their friendships, and enjoy our unique culture. What is your role as Executive Manager? In this role I oversee the day-to-day operations of the development of the new IEC. This entails working with our team of talented consultants and dedicated volunteers. I also am involved in building relationships with officials at the various levels of government, both to ensure their support as well as investigate avenues for government funding. Multiple committees lend expertise to this project. I lead the Communications and Capital Campaign committees, and participate on the Legal, and Building/Design Committee. Within a few months, I’ll be actively leading the Business Development Committee for the Event Planning business, a key component of our sustainability plan for the new centre. What are some of the important initiatives you are working on right now? The attention to detail required to manage the complexities of a $25 million project cannot be understated, with communications to multiple stakeholder groups being a key priority. 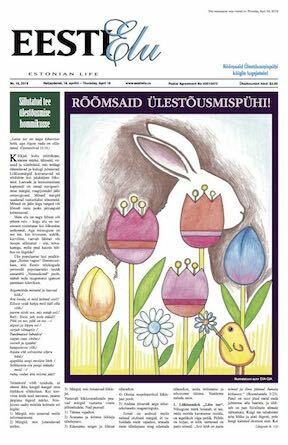 We take pride in keeping our Estonian community and organizations informed with regular articles in both print and digital, as well as in-person presentations to the community and organizations. Our Capital Campaign is progressing very well, thanks to generous donations from our community, and you’ll be hearing more about the campaign and ways to give in the coming months. A recent milestone includes approval for membership in the American Fund for Charities (AFC) which means that the project can accept USA donations. It was a lengthy process that involved detailed applications, legal committee time, and hosting a site visit with a representative from AFC. And, thanks to the knowledgeable people working on our committees, along with our lawyers, the legal and governance structure has been drafted. It’s vital that we are in the best possible shape to gain maximum tax benefits and efficient operating procedures in this area. Where are things at with the development of the new IEC? The project is progressing as planned! The team has been working non-stop and diligently on every aspect of this project. A recent milestone is that we closed on the property at 9 Madison Avenue in December, which forms part of the property next to Tartu College where the new centre will be located. What will happen with the Estonian House property on Broadview Avenue? Most community members are aware that the property has been sold to Revera, a leading developer of retirement residences. We are delighted that they stepped forward with an interest to purchase the property. 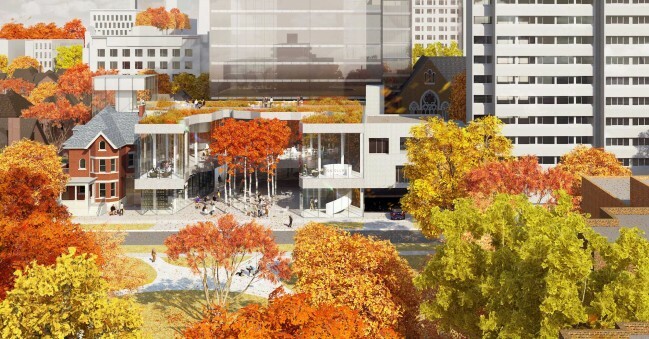 Rezoning the property is currently underway so that they will be able to build to their specifications, and the final price for the Estonian House is dependent on the zoning acquired. How is the design progressing? The design consultants are at the half-way point in finalizing the design for the new centre, which is exciting, as things are really starting to take shape now. We are starting to look at ‘Estonian content’ for the centre, which involves sourcing unique materials for construction, as well as opportunities to showcase Estonian art and design. How are you ensuring that the needs of the Estonian community will be met? The new IEC will be our new home so community input is vital. We finished our initial round of community consultations last spring, and have incorporated the valuable feedback into the next iteration of the design. A second round of consultations is underway now so we can show our community user groups how we’ve adjusted the design to help meet their key needs. Will the IEC be able to generate enough revenue? This is one of the single most important issues on our radar. The building is a unique design in a desirable and accessible location so we anticipate healthy demand for space rental for social and business events. We must ensure that the IEC is sustainable, that we can keep the building up and running, and have funds in reserve. We’ve put together a business model that plots out exactly how this can be accomplished by incorporating leases and rentals. This will ensure we can keep the building in the best possible financial shape. How can the community help contribute? Our Capital Campaign is up and running, and we invite community members to find out how you and your family can help contribute to a legacy for the Estonian community. We have received a number of generous gifts already, and there are naming opportunities available for donations of $100,000 and above. This is a once-in-a-lifetime chance to contribute. Please email me at See e-posti aadress on spämmirobotite eest kaitstud. Selle nägemiseks peab su veebilehitsejas olema JavaSkript sisse lülitatud. and I’d be happy to discuss the possibilities. Please visit our website www.estoniancentre.ca for regular updates, and to sign up for our email newsletter.